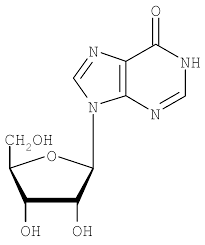 Adenosine deaminase enzymes that act upon RNA (ADAR) have been shown to play a critical role in mammalian development. ADAR is responsible for the conversion of adenosine to inosine in double-stranded RNA (dsRNA). Literally hundreds of thousands of these transforming events have been reported within human cells. This editing appears to occur predominantly in noncoding repetitive elements within the genome. Additionally, there are three forms of ADAR that have been identified – ADAR1, ADAR2 and ADAR3. They seem to be widely expressed during early development especially in the embryonic and post-natal development period. 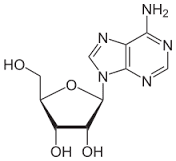 To date, of the three forms of ADAR, only ADAR1 and ADAR2 have been shown to demonstrate enzymatic activity on natural substrates in vitro. Using the mouse animal model, ADAR2 has been shown to modify an essential receptor in the brain. Experimental animals who die from seizures have successfully rescued when a genomic substitution mimicked the adenosine to inosine modification of the RNA transcript. This result proved to be an elegant demonstration of the mode of action of ADAR2 in vivo. The role of ADAR1 within the living organism remained unknown. This prompted Dr. Brian J. Liddicoat and his colleagues from the Department of Medicine at St. Vincent’s Hospital University of Melbourne, Australia to engage in an elaborate experimental investigation to uncover its role. The results of their extensive efforts demonstrated that, “The A-to-I editing of ADAR1 is essential for embryonic development and the maintenance of hematopoiesis in vivo.” Hematopoiesis refers to the production of viable circulating blood cells. This is an important finding and is a significant contribution to the overall understanding of the complexities and intricacies of mammalian development.